18ct gold diamond and blue topaz earrings. 18ct white gold Diamond and Blue Topaz tear drop earrings. 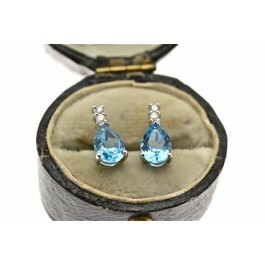 Having two small diamonds and a tear drop topaz.